All classes and lessons begin with a series of warm-up stretches and exercises. This is a great place to start as a beginner. This class is open to girls age 4 years old and up. We teach basic twirling skills to fun music. Girls that participate in this class will have the opportunity to march in seasonal parades: the City of Berea’s Memorial Day Parade, Grindstone Parade, and Light Up Berea Parade; Middleburg Heights’ Summer in the City parade; and/or the Woollybear Festival parade in Vermillion, Ohio. Learn more about current Class Information and Schedules. Tryouts are required to join the Intermediate or Advanced level competition teams. 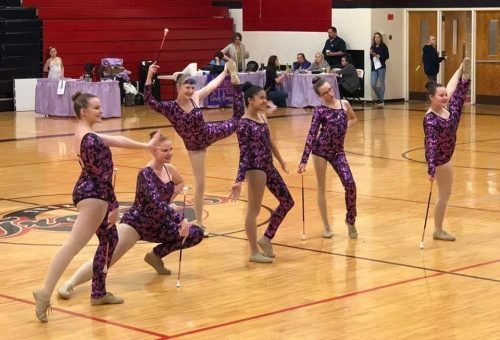 This is offered to girls 7 years old and up that have taken twirling classes before. 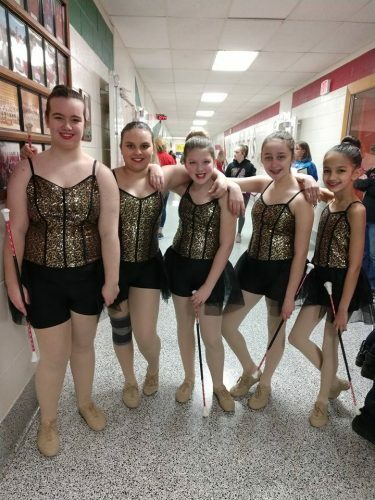 At this level, girls learn many new skills and challenges as their twirling ability improves through practice. 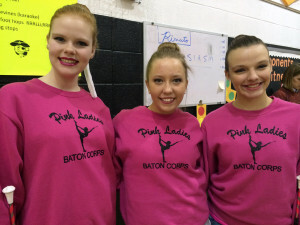 Pink Ladies’ competitive teams perform in team events at USTA competitions in Northeast Ohio. Many girls compete in individual events as well. The competitive level teams march in all of the City of Berea parades, Middleburg Heights’ Summer in the City parade, and the Woollybear Festival parade. The girls also perform at other special events in Northeast Ohio throughout the year.